Sonia Rochel, the French newborn baby nurse who developed the amazingly tender Thalasso Baby Bath talks about her techniques and shares tips and safety guidelines for those of us who want to try it at home. Although the bath Sonia offers is especially geared to just-born babies, the wisdom about bathing and general baby caring is timeless and will benefit parents and children of all ages. The video shows the full interview with simultaneous translation from French to English. Below is the English transcript. Click through to watch all original videos of Sonia demonstrating her Thalasso Bain Bebe on YouTube as well as this interview. These videos are SO special, it is difficult to stop watching. Thank you so much Sonia! Welcome Sonia, can you tell us a little bit about yourself please? Sonia Rochel: "I have been working with babies and young children for quite some time, over 30 years now and in that time I have met a lot of interesting people. In particular I met one midwife who showed me a lot of beautiful things. The most important thing she taught me that with babies we need to take our time, that is really crucial. So I started observing babies really well … I've listened to them a lot because I realized that a baby tells us a lot of things … but most us aren't used to listening to that. We hear many sounds as background sounds. We hear it – but we don't really hear it. So after going through this process, I told myself that I needed to do something for these babies. With this midwife I saw how birth for these babies was actually a beautiful experience and I wanted them to experience something equally beautiful once they were born. That's how I developed this special bathing technique who is there to welcome baby in all softness ... it is like a welcome gift, my gift to them to welcome them into this world. I take the time ... for such a young baby so soon after birth, the memories of being in their mommy's belly are still very vivid … and with the bath I want her to re-live those beautiful moments, and cherish them." What is the process that a baby goes through during a bath like this? Sonia Rochel: "Well, let me give you an example. A couple of days ago I was at the newborn clinic and I was in charge of a new baby. No one had told me anything about him, his parents or his birth. I didn't know anything about him, just everything is fine, he slept well, ate well, that's it. And I started his bath … and he has started to scream, really a very loud scream … and didn't accept at all what I was about to offer him. And he did, I heard afterwards that his mom had been abandoned during her pregnancy, she smoked a lot during pregnancy, the baby was born very small, … I didn't know any of that so I couldn't at the moment of the bath interpret exactly what happened. But the fact is that this baby did try to tell me something, in his way. So when I told the mom that I though her baby was telling us something, she did not really reply. But a colleague told me. So I just decided to re-try the next day, because I did not want to give up, and still wanted to give this baby the special gift of the bath. And we did and it went marvelously! This second bath was amazing, his mom was blown away! So to me, during his first bath he was able to share his story – by not accepting it. But the second time he was fine, and the experience was just enormous. Many times nothing really happens, or at least, lots of things happen but everything is gentle, baby moves just a little, accepts the bath happily and is simply happy, it's less extraordinary … but in the end those “easy” babies … I think they need it less, those babies just tell us everything is fine, and that's it. It's the “difficult” babies who need it most, and who only come to accept it once they got to tell their story first." Is it safe for parents to try this technique at home, and which bathing tips do you give? Sonia Rochel: "What I try to do, with the parents that I meet, I observe if they are very worries, or if they are quite relaxed and comfortable with bathing. I will try and give them a few simple things they can do. Second, it's about not being afraid to immerse baby, to have some water in her ears and over her eyes. It is very good, and even more it will reassure them later on when they get water in their eyes. So pour water over their eyes. Also I advise them to use a gentle baby shower head, so the water can softly stream over their head, which will give the softest cranial massage, that is really great too for the bath. It's mostly giving them ideas, and take away all fear from the bath, which many parents still have. I do give some guidelines for safety though. Mainly because a baby moves during the bath. It's their reflex for example when they touch the side of the bath, to “jump up”. I know that that happens so I always have my hands ready, because I know that at any moment, baby can do this and make a sudden movement. So that is the main safety guideline: be ready for sudden movements, just keep your hands close and ready. Most of all it's about changing the whole idea of a bath, so that it becomes less strict, more about fun than about hygiene. I really want to change the definition of the word bath for a baby: it's not about cleaning everywhere, under the arms, the feet, the ears, … a bath is first of all about taking the time, relaxing, feeling good, … and to me that would be amazing if we could use that as the new definition for a bath." 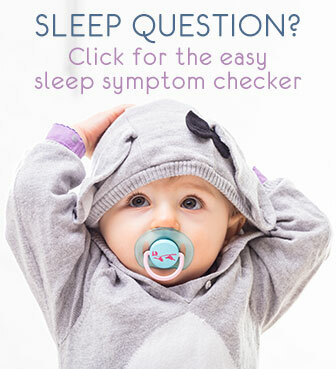 Finally, what is your best baby sleep advice? Sonia Rochel: My sleep advice … would be … for the bath is to bathe at night of course. To take a lot of time to bathe baby. We need to give baby to release the tension of the day. In two minutes it can't be done. We need to give baby the time to get rid of that tension in their body. We all accumulate tension but as adults we are busy we can run we can shout we can do things to get rid of the stress of the day. But a young baby is just lying around, she accumulate quite a bit of tension. So my first sleep advice is to start with taking the time for a real bath. And also … to really have quality time, before going to bed. It seems natural but in practice it just does not always happen like that. It's really important to have a huge quality in what you do, whether it's really taking her in your arms, reassure her, change her really gently, just do everything with explicit love and care. All those things will effectively help them sleep better. 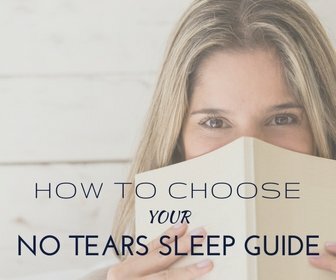 Next, definitely not letting a baby cry to sleep. Above all don't tell yourself I will just let her cry, she will fall asleep in the end, no that is just terrible. It seems like simple things but it is important to remind people. There will always be grandparents, aunts, … who will say that it's better, we need to let them cry. But no, no, we have to explain to parents that no, and this baby won't become spoiled, on the contrary she will sleep better nights. It's OK to take them in your arms, let them settle. It's good for everyone, it's good for baby but also for the parents. It's so much more relaxed and feels much better."